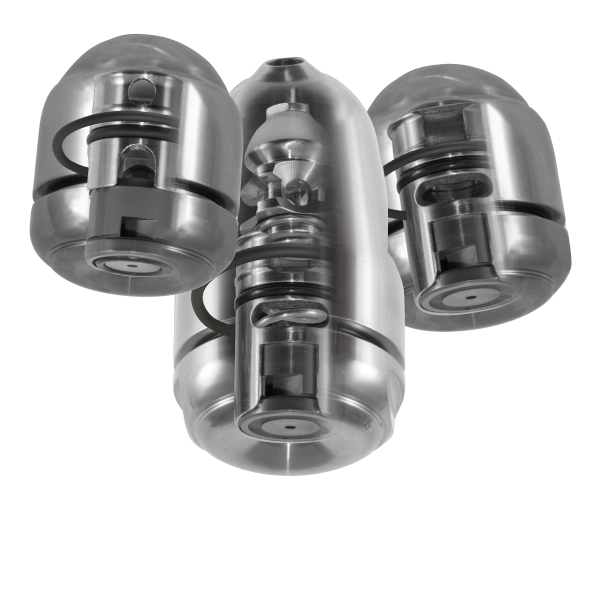 Click&Dry: long life, high performance, hygienic nozzles with greater return. It’s all about hygiene, quality, performance, productivity and reduced operating costs. Seal-In-Disc ™ (orifice disc) technology and Hi-Flo swirl are unique design features exclusive to Click&Dry™. This innovation delivers improved spray dry nozzle work-flow, powder quality and long term cost saving. Concentric Clasp Technology (CCT) – available for assemblies with CCT clasp. The ultimate solution that ensures perfect wear part alignment and improves wear part life. Select assemblies with easy-out CCT clasp come with 1-year wear cover guarantee from date of commission. Full axial compressive seal system, exclusive to Click&Dry™, ensures all seals are only in contact with sealing faces once assembly is fully screwed home. This prevents seal drag and tear. Axial compressive seal system, an exclusive feature of Click&Dry™, ensures all seals are only in contact with sealing faces once assembly is fully screwed home. This prevents seal drag and tear. Only available with Compact and SuperMaxi series. Significant savings in on-going costs are achieved by reducing tungsten carbide component breakages and wear. Our innovations are designed to prolong wear part life. Upgrade to Click&Dry™ easy-out CCT clasp systems to receive 1-year wear cover (excluding retainer System) and 2–year breakage cover on wear parts (conversion CCT clasp exclude breakage offer). No assembly error push-fit retainer design offers improved wear part alignment and longer wear part life. A range of tools and accessories designed for easy assembly and to minimise carbide damage. Concentric Clasp Technology (CCT) – available for assemblies with CCT clasp. With CCT clasps, you can only assemble one way, the right way, eliminating errors. Easy-out CCT clasp assemblies offer “No wear part damage extraction” when used with Click&Dry™ tools ensuring longer wear part life along with 2-year breakage cover on wear parts. Stronger and longer lasting cap design with no seal groove inside cap chamber eliminating weakness points. Larger anti-galling threads design minimises thread galling. Seal face protection skirt helps protect body o-ring groove and seal face damage. Only available in Compact and SuperMaxi series. Unique fully axial sealing and FEA designed nozzle caps and bodies. Deliver no gap seal arrangements to prevent seal failure while assisting compliance to pressure piping codes and reducing operating risk. No gap fully axial compressive seal system designed to minimise seal rubbing and tear damage, while delivering sealing compliance at the highest industry operating pressures. 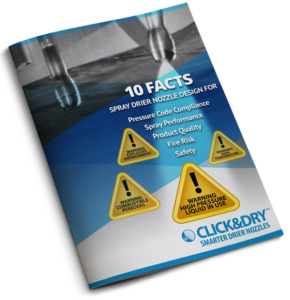 Please complete your name and email to download more information on our Click&Dry™ nozzles *Kindly check your email account's Spam or Junk folder to ensure the message was not filtered. The downloaded information from this website is for your personal use only and not for commercial exploitation. Some of these products are protected by patent and trademark copyright. Full terms & conditions of suppliers available upon request. N.B information used by Spray Nozzle Engineering group only.